When Rahne joined her club-loving friend Sammi to the newly opened club Raven, she never expected it to change her life forever. An unexpected chance encounter with the mysterious clubs' owner, Lucian, leads Sammi and Rahne down a path they never expected. Can the seductive Lucian, tempt the reclusive book worm, Rahne out of the darkness of her ordinary existence and into the real world? And what of Sammi, does a similar encounter beckon at her door or is she to be a face in the background, merely there to observe her friends happiness while she wallows in the darkness? And who is Geraldine and what dark and unimaginable secrets does she have to reveal? Will this end in a happy ending or was everything doomed to fail before it began? Two worlds collide in this dark, compelling and deeply seductive vampire romance. Being from the wrong side of the tracks is no barrier to the irrevocable attraction to his soul mate... Something's are simply meant to be. Born in Birmingham, United Kingdom, I was brought up in a fairly creative environment, which developed into writing and painting. During my life at secondary school I found my 'writing voice' by writing short stories with my friends as the main characters. It was also, during this time, that one of my stories got found and read by a teacher who gave me such negative feedback that I gave up writing all together. It wasn't until after I was married to my husband, Mike, whom I knew from secondary school, and found new friends in working life, that I began writing again. Actually, it was down to another creative mind, Sammi, who plagued me with fan fictions and anime that got me inspired to write. 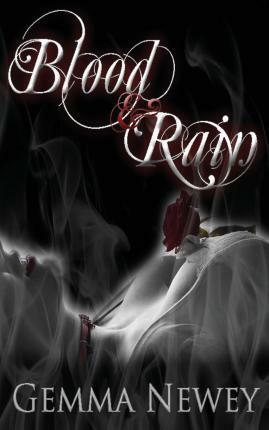 Blood and Rain, my first self-published novel was the result. Since then, I have constantly tried to develop my writing style and my knowledge, taking on self-publishing courses, as well as editing and proofreading courses. I'm still being hounded by my friends to write more, which I'm trying to do. I have several more in the pipeline and hope to never stop - even with a little munchkin nipping at my heels. Yep, I'm a mother. But I don't let that stop me; I use it to push me forward. Without my friends and family, I wouldn't be writing now and loving my life.